Even though the wedding isn’t for another nine months or so, we’ve gotten chest deep into wedding planning. One of the main reasons why I haven’t been on blogging about zero waste in Hawaii. So for the last couple of weeks I have been consulting both mine and Waiemi’s mom about how the wedding should go and what we will need. We have since managed to half our wedding size and located our venue for both the ceremony and reception. Our plans have changed dramatically since I last posted in April. We are no longer having our wedding at Liliuokalani Gardens in Hilo. Instead, we have chosen to move the ceremony and reception to Waimea at Anna Ranch Heritage Center. It is much more cozy, flexible, and fits our ideal wedding after much contemplation. We also decided to go with a rustic theme that was eco-friendly. We have settled on a late morning ceremony with a noon reception so everyone can drive home safely in the daytime. We have managed to incorporate zero waste into our wedding planning in the form of biodegradable, compostable paper goods and utensils. Here is a picture of the cups I ordered off of Amazon that are 100% plant based and compostable. How cool is that?! (I have provided a link to the product so you can check it out for yourself). As the other package comes in, I will post another blog about the products we bought. So far we have managed to get a majority of the wedding planning done and I huge chunk of me wants to get married soon because I am so excited and amped from wedding planning. Decorations are coming along. Because we decided to have the reception in Anna Hall, there isn’t much need for decorations so I decided that simple mason jar succulents and repurposed wine bottles would be perfect for the decorations. There will be an incorporation of a lot of twine lace and burlap, but it will be perfect. I can’t wait! If you have any ideas to help with a Zero Waste wedding, please check out Our Wedding Page here on the blog to see what we already have planned and you can comment your suggestions below this blog post. This is Narnia. 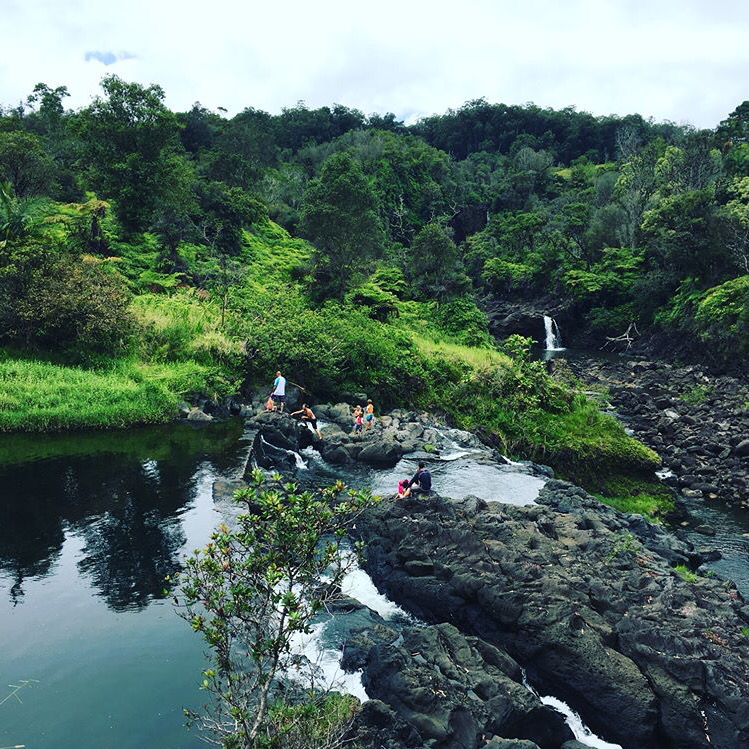 A secluded place up the Wailuku River where you can swim, hang out, and relax next to waterfalls. On Monday, my friend took Waiemi, my cousin, Hunter, my sister, Camryn, and I on the long hike out there to show us where it was. I had heard about it from some people and didn’t really know what to expect. The night before, I packed my bag with my medication, umbrellas, ponchos, snacks and lunch. I packed a separate tote with two blankets and two towels for Waiemi and I. Not knowing what to expect, I prepared for anything. Except I forgot my slippers in the car. jar, I packed Ranch flavored potato chips that my other sister, Crystal, snagged from a potluck a couple days earlier. In our two tiffins, Waiemi filled one with lettuce wraps (just turkey slices and cheddar cheese). In the other, I had one tier full of quinoa and the other with leftover roast from dinner. I had my 16 oz jar of water and Waiemi had his 24 oz reusable bottle from Kamehameha Schools and we were ready to get out there. While waiting for our friend to meet up with us, we checked out Rainbow Falls with the tourists and Boiling Pots. Both places were beautiful that lovely midday. Around 11, we made our way up to Narnia. Finding parking was a bit of a challenge, but not as big as the hike. I don’t know what I was expecting, but the hike was miserable. Well on the way out it was miserable. I was sweating so badly in places I had never sweat before, like my neck. After half an hour or so, we finally made it to Narnia. There were a lot more fair-skinned people than I thought would know about the place. It was hard to tell whether they were local or tourists. We found a side path and went down it. We found a lift that went to the other side of the river, but not knowing how safe it was, we just sat down at its base and had our lunch. Lunch was good. It was refreshing and relaxing, especially after that hike. Then, as it always does in Hilo, it began to rain. The place cleared out so fast, because there’s no cover there. I gave Hunter and Camryn ponchos and Waiemi and I used our umbrellas. The walk back was definitely not as bad because it was all downhill. We plan to go back there tomorrow with Crystal and possibly her boyfriend if he wants to make the hike out there. Tomorrow I will definitely take more pictures! Where can you go to buy bulk items? You can buy grains, nuts, dried fruits, tea, spices, and soap in bulk at the Hilo Shopping Center location. I have not yet asked them if you can bring your own reusable produce bags for the grains or glass jars for the soap, but when I do I will let you know. You can buy grains, nuts, spices, and dried fruits in bulk. I have not yet asked them if you can bring your own reusable produce bags or glass jars, but they are cheaper than Island Naturals. They don’t have many other bulk options like tea and soap. My name is Courtney and I live in Hilo on Hawaii Island with my fiancé, Waiemi. We currently live with my grandma, Aunty, and cousins. Not only have we found it difficult to live a more zero waste lifestyle in a family we do not own, we also found it difficult to live zero waste in Hawaii in general. There are not that many locations and resources on the island that can support zero waste at a decent enough price. Products produced on-island are priced relatively higher than products imported from the mainland but products from the mainland often times come in a lot of plastic packaging. However, the goal of my blog is to put information on resources out there for others on the Island who want to lead a zero waste lifestyle. As well as document our choices and journey to zero waste living. I will post where you and I can get our bulk items and other local products to make our own recipes at home as well as any community events and ideas from other zero waste bloggers. The reason why we are going zero waste is to do our part in helping to protect the environment. Living on an island with an ecosystem as sensitive as Hawaii’s as well as species of plants and animals found nowhere else on Earth. After visiting the Mokupāpapa Discovery Center one day, we saw an exhibit about marine debris collected from the Northern Hawaiian Islands and there were so many pieces of plastic, from lighters to water bottles, and it broke my heart. They also had pictures of marine animals that were harmed by the marine debris. Our beaches are so beautiful and I don’t want to pollute them. Minimizing our waste impact is a very real concern we should take to heart to help save the planet. 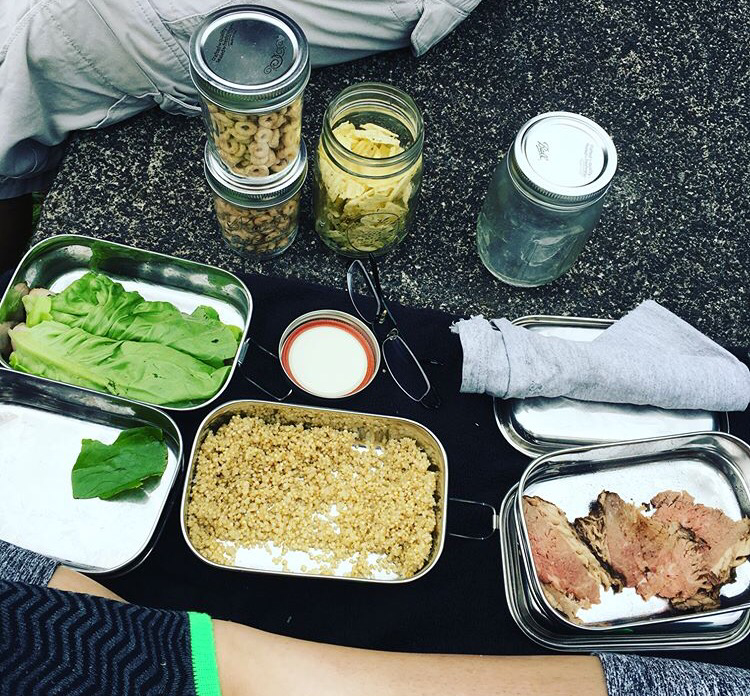 When I began this journey, I found lots of helpful tips and tricks to zero waste living. I decided to write down and save all those that pertained to us and what we wanted to get out of this new lifestyle. This is basically my Bible. I have recipes, how-to’s, tips and ideas to lead a healthier lifestyle. I also included information about minimalist and non-toxic lifestyles because I believe all of these lifestyles are connected. It is very difficult to achieve zero waste in my grandma’s home, but that doesn’t mean that I don’t try to switch out paper items with cloth items or use less water and buy healthier food. It’s an ongoing process in the house and I haven’t really told anyone about our decision to go zero waste yet. I want to make a difference and live healthier. After recently being diagnosed with diabetes, I have tried to make efforts to change my eating habits and lifestyle. I have sold and gotten rid of a bunch of things in our room and I plan to sell even more. Saturday, April 8, 2017 we plan to have a yard sale at my grandma’s house with some friends and sell whatever we don’t need. Whatever doesn’t sell, we plan to donate to Goodwill or the Salvation Army. More details about the yard will become available in the coming days so stay tuned!